Before I was crafty, I cooked a lot. One thing that you learn – when cooking something like soup, always taste and add seasoning as you go. Don’t just follow the recipe and add it all at the end. This is a skill that is transferrable to sewing, but unfortunately I didn’t realize it until now. 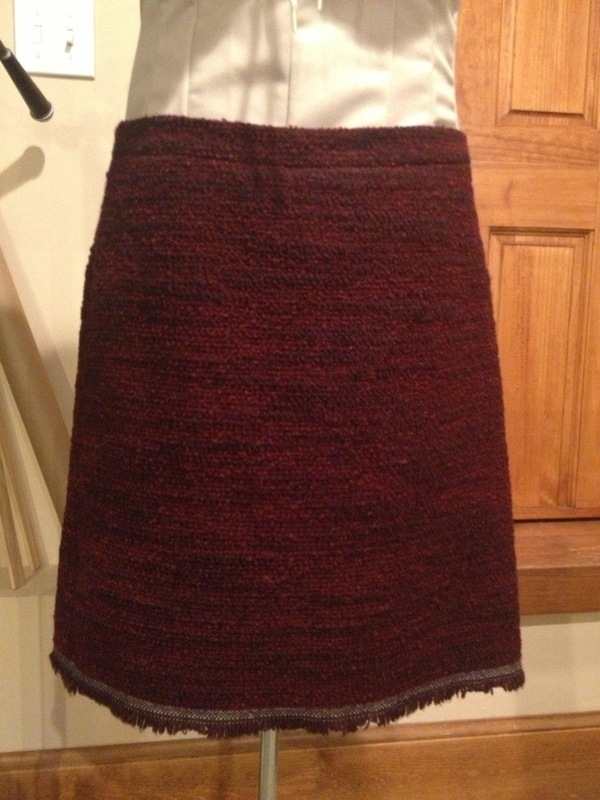 First, the good news: I finished my fringe skirt over the weekend – thanks mom and Karen for your input! I wasn’t following a pattern, so I had to spend some time figuring out the order of construction because I was adding a waistband, lining, invisible zipper, and a back vent. Sunni’s video and tutorials were a great help. Fancy, lined back vent. I did this a few times before getting it right. 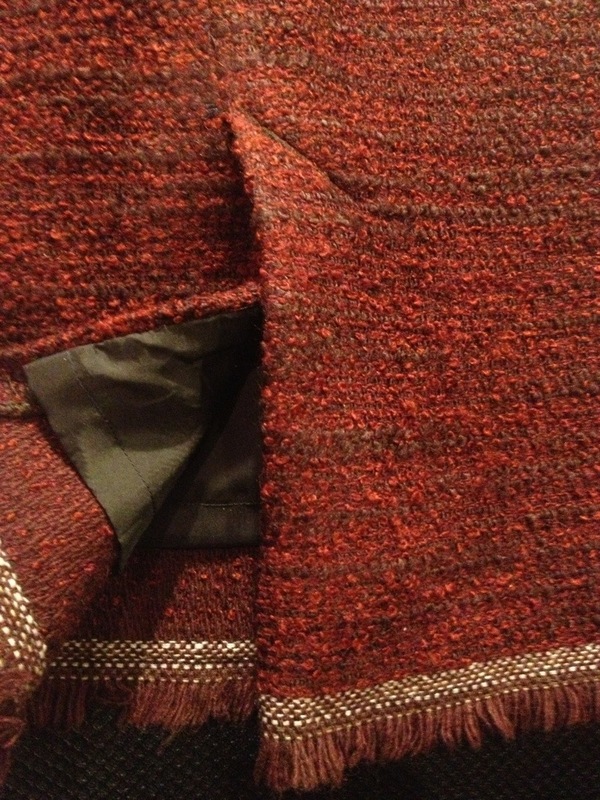 I may try to go back with the seam ripper, but I’m not sure my lining (or the boucle, for that matter) can survive that one more time. Hopefully, lesson learned: try on as you go. 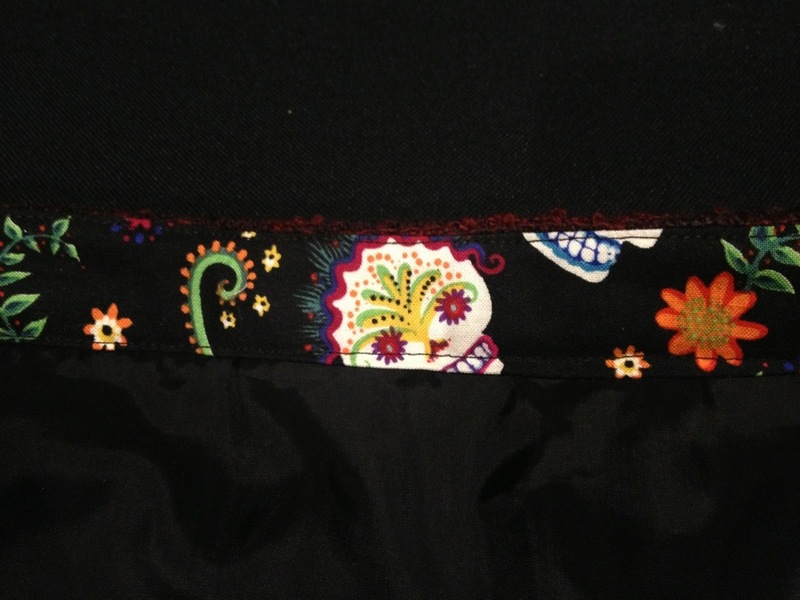 waistband facing, out of crazy joann’s remnant fabric. with skulls!